We Searched for "cat" in the list. As you can see from the above Screenshot, the search for "cat", Vanilla found it in 19 separate items. 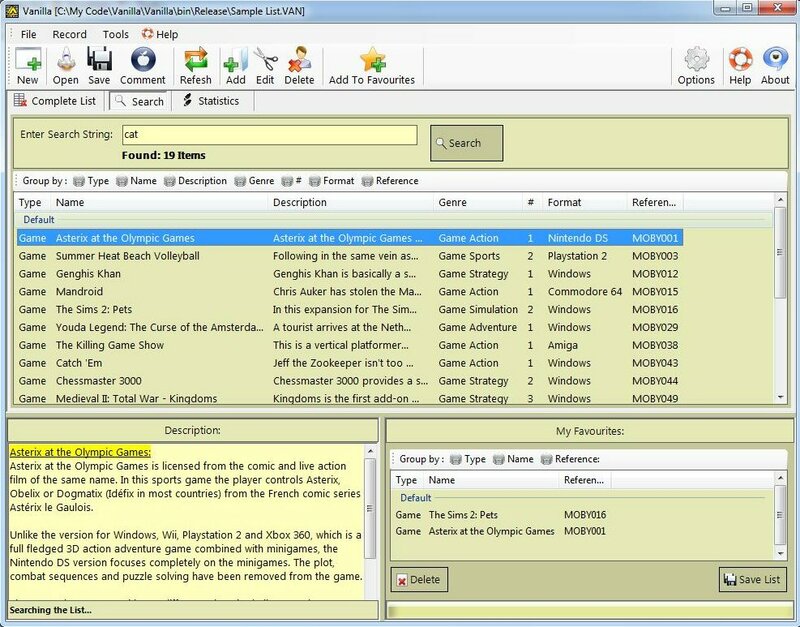 You can still drag (or use the "F" key), any of the items that you are interested in into the favourites list, then you can export the favourites list as described in the previous walkthrough. 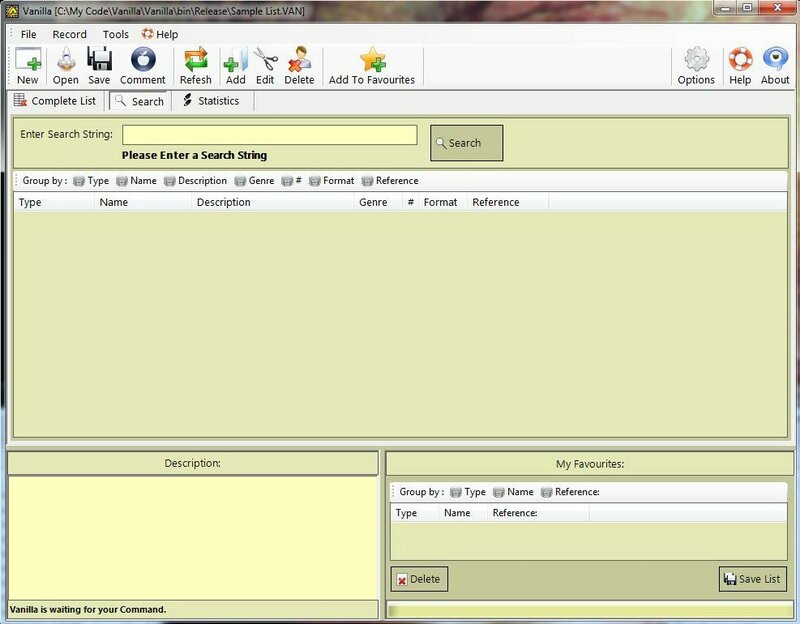 You can combine the favourites from the Main and Search lists.